The title really says it all. 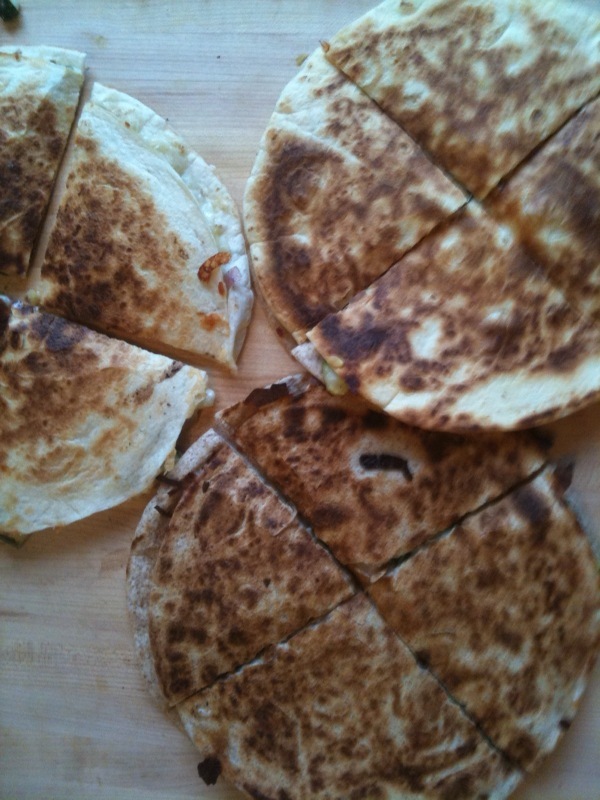 We love to make quesadillas. 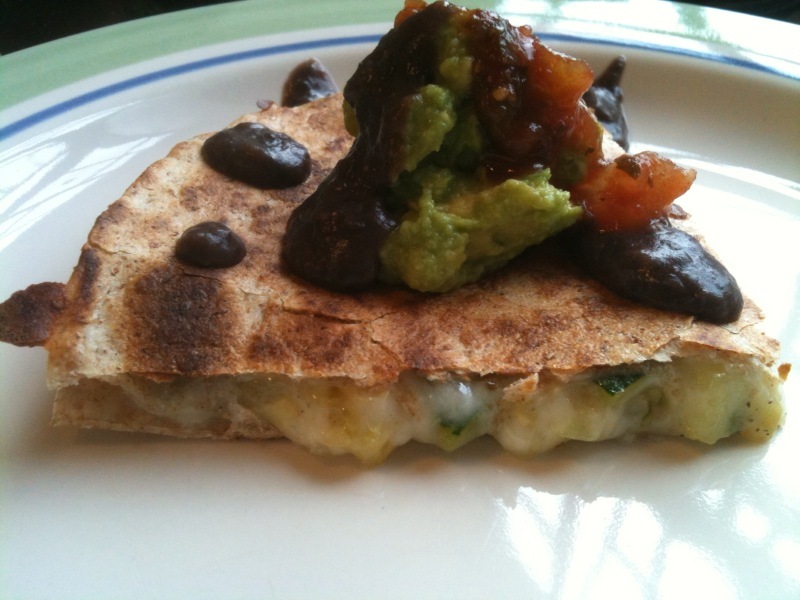 These have monterey jack cheese and sautéed zucchini inside, with our special black beans, guacamole and salsa on top. 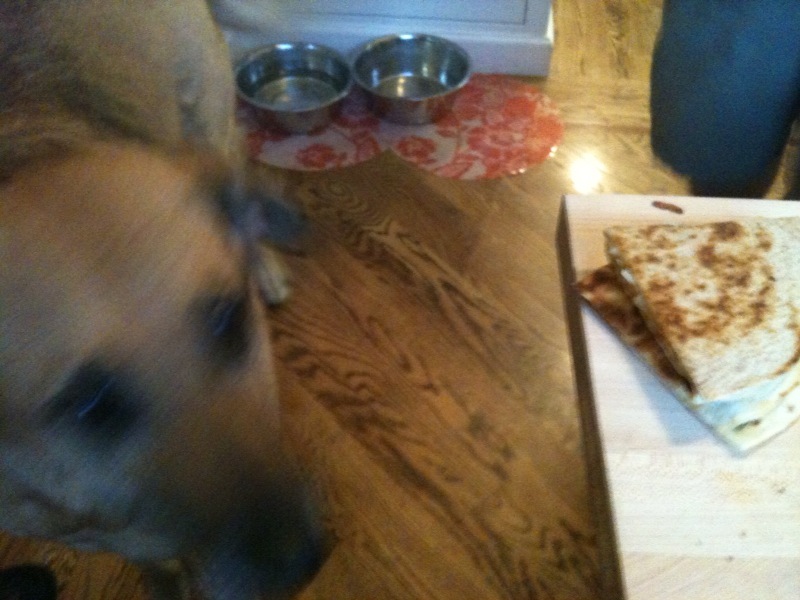 My dog loves quesadillas and she tried to eat them off the table. No luck for her though. I love quesadillas too. Those look yummy. 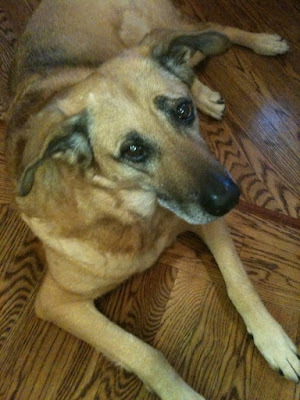 I love my dog too and she's a food thief as well. I just woke up, and now I'm going to think about quesadillas all day today. 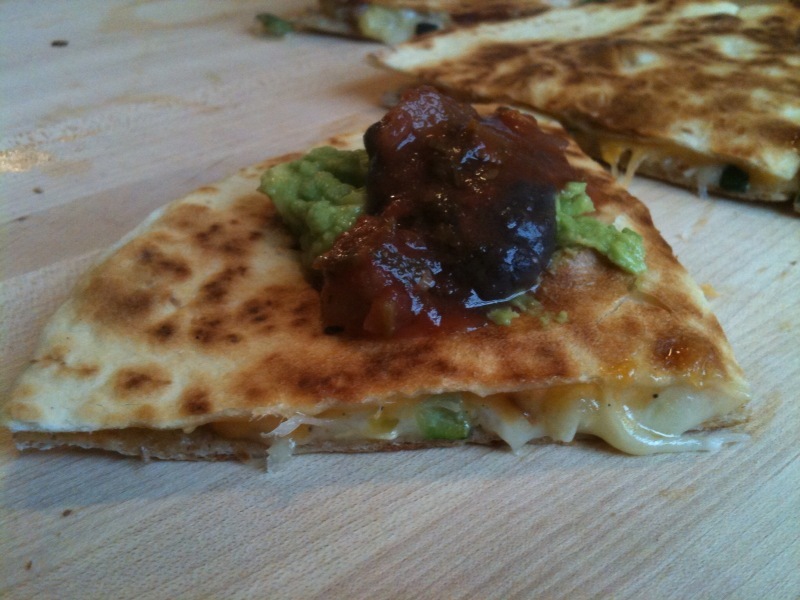 You might have just convinced me of what to make for dinner! Your dog is a cutie!!! I also have a great love for quesadillas. Well anything with lots of hot gooey cheese and things. Your dog is awesome. And she has good taste in food. I will be making spinach quesadillas tonight. YUM. 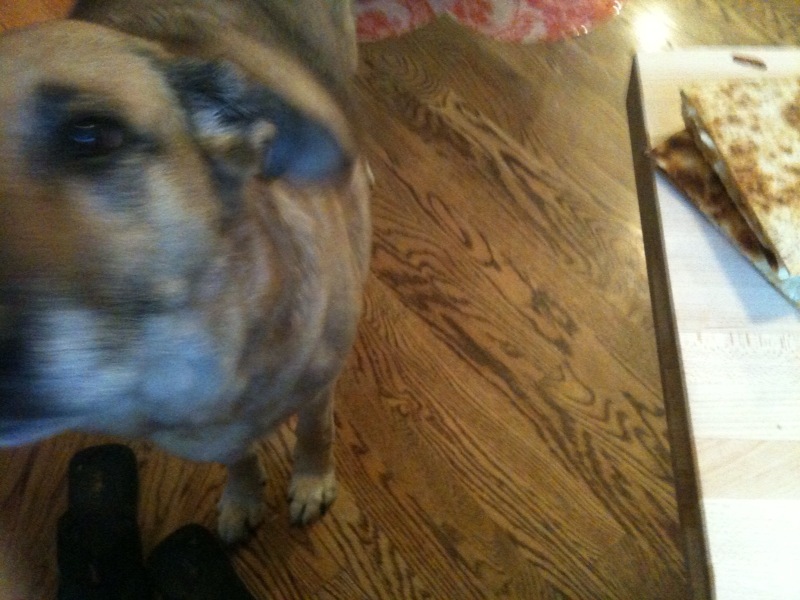 I do not, however, have a dog to (attempt to) eat them. Which is sad. I would like a dog. Drop me a line if you decide to go to the NYBG. I'm always up for a trip there. It is a happy place.